While 2016 is a promising year for movies, with releases such as Zoonlander 2 and Deadpool on the horizon, we at The Screening Room have decided to do a round up of the top five movies of 2015. While the film may have underperformed in the box office, this Danny Boyle film is filled with stunning visuals and a smartly written screenplay. “Steve Jobs” brings the innovative, but egotistical titular Apple CEO to life and has some memorable moments that keep make it worthy of being on this list. 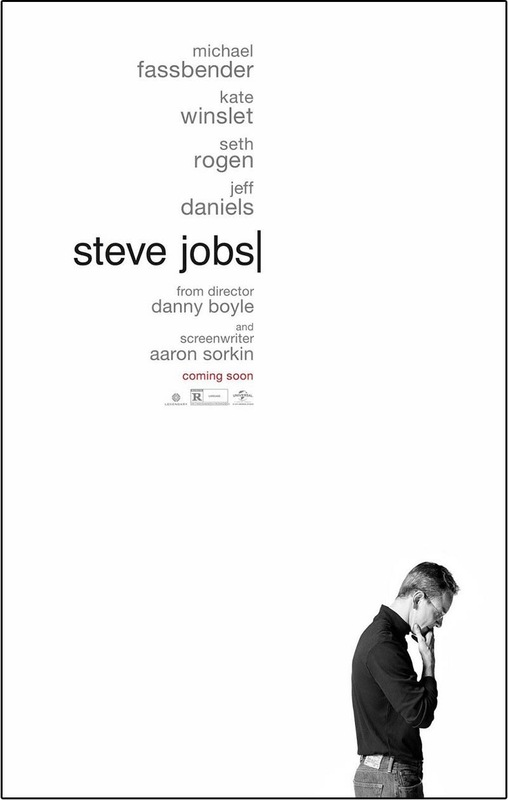 The combination of Aaron Sorokin‘s witty and thoughtful script and Michael Fassbender’s powerful performance, “Steve Jobs” makes up for what it lacked in sales in artistic merit. Pixar did it once again, delivering a the smash hit. “Inside Out.” Focusing on the emotions of 12-year-old Riley (Kaitlyn Dias), the audience is taken along for an incredible journey as they witness emotions like Joy (Amy Poehler), Sadness (Phyllis Smith), Fear (Bill Hader), Disgust (Mindy ), and Anger (Lewis Black) personified. In fact, the adventure between Joy and Sadness coupled with Riley’s imaginary friend Bing Bong (Richard Kind) enforces the forefronttheme of this movie: that it’s okay to cry. This theme connected to audience members young and old on a visceral level, giving a sense of catharsis that, until now, would have been unexpected for an animated family film. 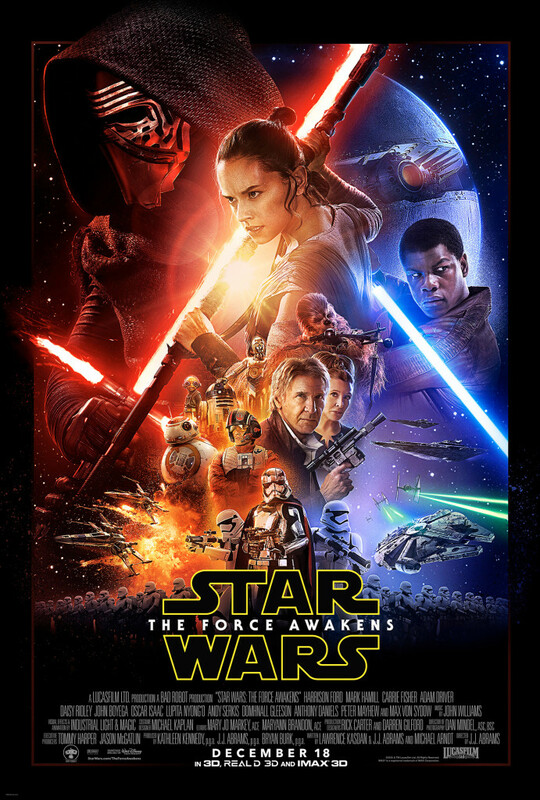 “Star Wars Episode VII: The Force Awakens” is a great return of the Star Wars franchise, although it does have its fair share of discrepancies in mirroring the plot of “Episode IV: A New Hope.“ However, charasmatic lead characters like Rey (Daisy Ridley) and Finn (John Boyega), and a brilliantly dark and complicated villain like Kylo Ren (Adam Driver) allow this Star Wars film to go to the same heights of the Original Trilogy. Disney and director JJ Abrams took great risks, which payed off greatly and earn this film our number three spot. With a simple and strait forawrd story, “Mad Max: Fury Road” fills every frame with adrenaline-inducing scenes fueled by a unique combination of action and madness as George Miller drags his apocalyptic vision and main character Max to the modern age. While Tom Hardy doing Max justice with his haunted, grizzled performance, it is Charlize Theron‘s determined, selfless, and overall badass portrayal of Imperator Furiosa that is the highlight of the film. The action sequences are jaw-dropping, the universe is all encompassing and the overarching themes of feminism and empowerment make “Fury Road” 2015’s best summer blockbuster. “Ex Machina” (Latin translation “From the Machine”) is a brilliant directorial debut from screenwriter Alex Garland. Alicia Vikander’s portrayal of the robot Ava is a tour de force, providing a compelling proxy for what it means to be human in a movie that is marked by its own complexities. The supporting cast consists of Domhnall Gleeson and Oscar Isaac, who also play equally compelling characters, and the film presents eerily philosophical questions, as the Turing Test keeps viewers questioning whether Ava actually thinks she’s human, or if she is intentionally manipulating everyone to escape. While there are several films that didn’t make the cut, these five films each topped our list for different reasons, providing a look back at the artistic triumphs the movie worked experienced in 2015.